The ingredients in the Bolognese are flexible, too. I like to add some vegetables to bulk up the sauce and add more nutrition and flavor. This time I used rutabaga and mushrooms, but I’ve used summer squash, too. 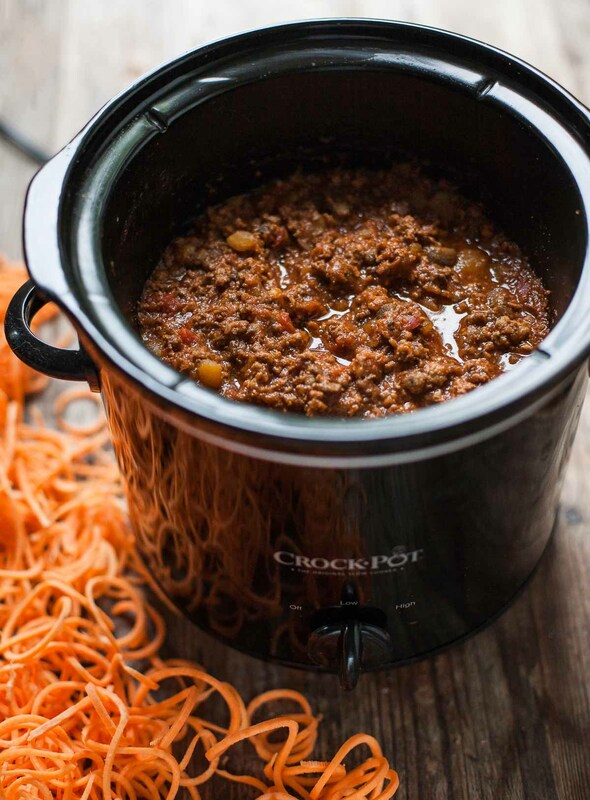 You can also use carrots and celery, which are classic Bolognese ingredients. Whatever vegetables you use, just make sure to chop them finely so the end product will be saucy, without any large pieces in it. As for the sweet potato noodles, they’re my new favorite way to enjoy healthy carbs. I just got a spiralizer a week and a half ago and I’ve already spiralized sweet potatoes three times. The bright orange, slightly sweet noodles are the perfect foil to this robust and meaty sauce. If sweet potatoes are not your thing, use zucchini instead (more on zoodles here) or get your hands on some Capello’s almond flour pasta. Do you have any food traditions, weekly or otherwise? I’d love to hear about them in the comments! 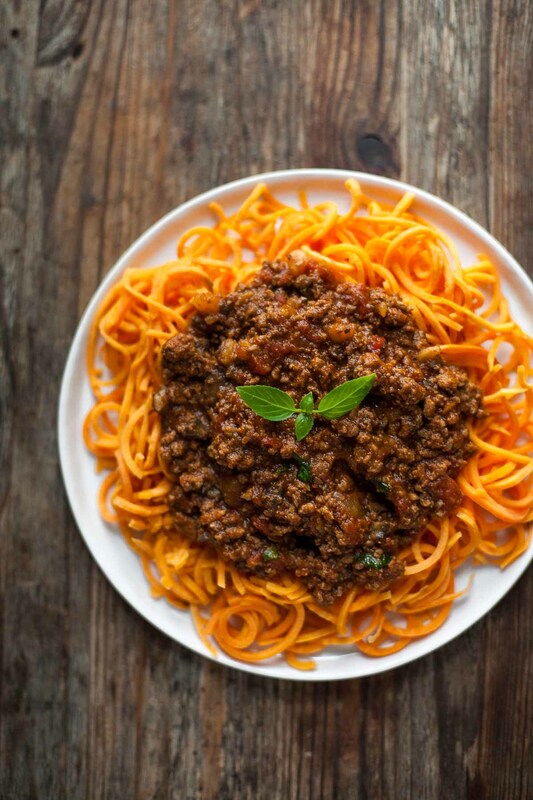 There's nothing more comforting than a slow-cooked Bolognese sauce with sweet potato spaghetti! It's gluten free, paleo, and much more colorful and nutritious than regular spaghetti and meatballs. Heat the ghee and olive oil in a very large saucepan or Dutch oven over medium heat. Add the shallots and cook, stirring occasionally, until beginning to brown, 7-8 minutes. Raise the heat to medium high and add the garlic, rutabaga, and both kinds of mushrooms. Cook, stirring often, until the mushrooms have released their liquid and most of it has bubbled away, about 8 minutes. Push the vegetables to the sides of the pan. If the pan looks very dry, you can add an additional tablespoon of olive oil or ghee at this point. Add the beef and pork and cook, stirring occasionally and breaking up the meat with a spatula, until cooked through and no longer pink. Add all the remaining ingredients except the basil (go ahead and add the whole can of tomatoes along with their liquid). Stir thoroughly. *If you're not doing a Whole30, you can use 1 cup red wine instead of the vinegars. Add the wine to the meat, stir, and let most of it bubble away before adding the remaining ingredients. 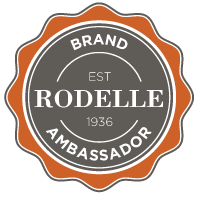 **Looking for a convenient way to get amazing grass-fed meat? ButcherBox delivers curated boxes of grass-fed beef and pastured pork and chicken right to your door. I’m a ButcherBox affiliate because I love their meat and think you will, too! If you’re interested in trying a box, sign up here and they’ll also send you a free pack of paleo bacon. This post contains affiliate links. If you make a purchase on Amazon or ButcherBox after clicking one of my links, I receive a small commission (the price you pay is not affected). Thank you so much for supporting my blog! As you know, I am VERY new to all this! At the moment so far a regular dish is King-sized Scallops fried in coconut oil with black pepper and drizzled in lemon juice, accompanied with crunchy mixed lettuce, cubes of fresh pineapple or seedless green grapes, black and green olives, cress and all dressing of extra virgin olive oil, cider vinegar and drizzled with clear honey! You can also put some feta cheese, cubed, on top as well! I know it sounds a lot of flavours, but it IS DELICIOUS!! Hi Sue, that sounds great! Next time I splurge on scallops I might give it a go. This looks delicious. I think I'll have to get a spiralizer so that I can make this! 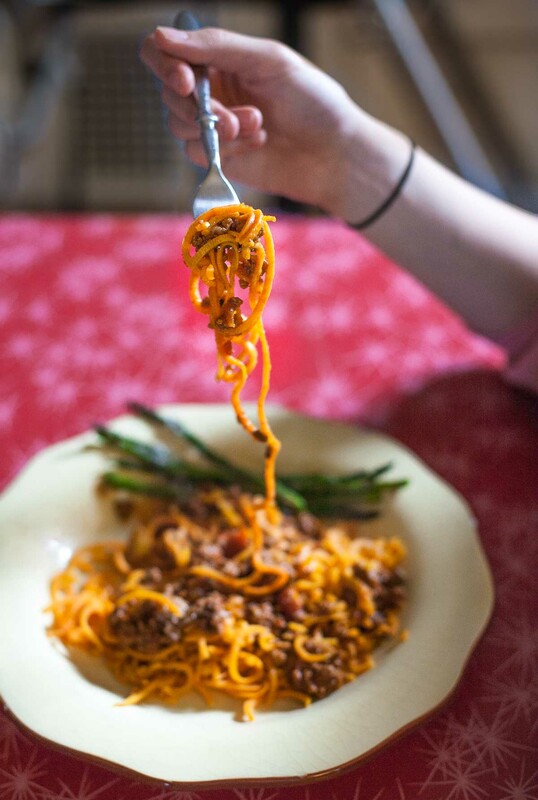 Sweet potato noodles are basically what I want to shovel into my face ALL DAY LONG these days…and with the slow cooked deliciousness? GIMME DAT. Pinned! I think sweet potato noodles are my favorite kind of veggie noodle. So perfect for this plate of comfort! YUUUUHS! Insert the praise-hands emoji here. 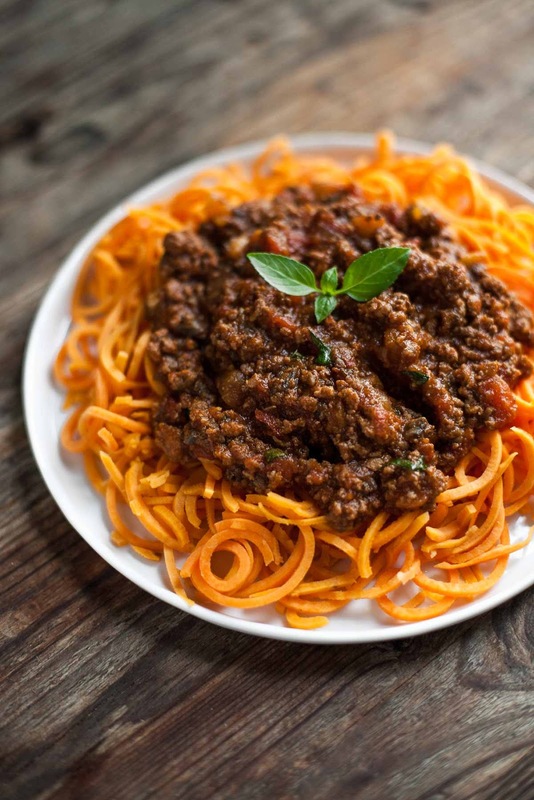 I'm alll about a good meat sauce and could eat sweet potato noods every day of my life. Basically, this is the picture perfect meal for me. And I bet that slow-cooked sauce is amaaaazing! I've had the spiralizer for a while but haven't used it for sweet potatoes yet, I like your method of cooking them. I've seen some recipes that tell you to just sautee the spirals in butter or oil – it seems to me sweet potatoes would not be tender enough by doing just that. I definitely will give your recipe a try!